A breathing, adaptive hydration seal for the face that offers protection against degradation of Natural Moisturizing Factors (NMF), supplements the skin's own NMF and supports sustained production of NMF within the skin. NMF, largely composed of amino acids and minerals, is the skin's natural barrier against water loss—in effect, protection from loss of NMF itself is the first line of defence against protection from loss of hydration (water). This novel approach stands in sharp contrast to moisturizers that offer oils and lubricants as a method of hiding dehydration instead of supporting the skin's own barrier to water loss. 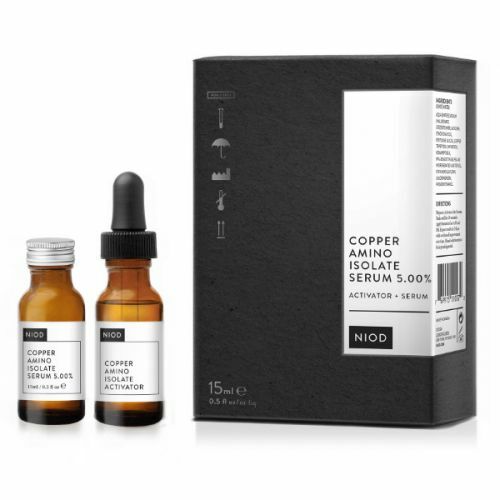 This build-up of NMF within the skin is shown to increase markers of youth within the skin so efficiently to the point that the skin can look up to 20 years younger after 4 weeks—purely by increased natural water content and no other factor. Apply to the skin after cleansing and applying any serums. Use a pea-sized amount only. Use this product sparingly, a little goes a very long way.